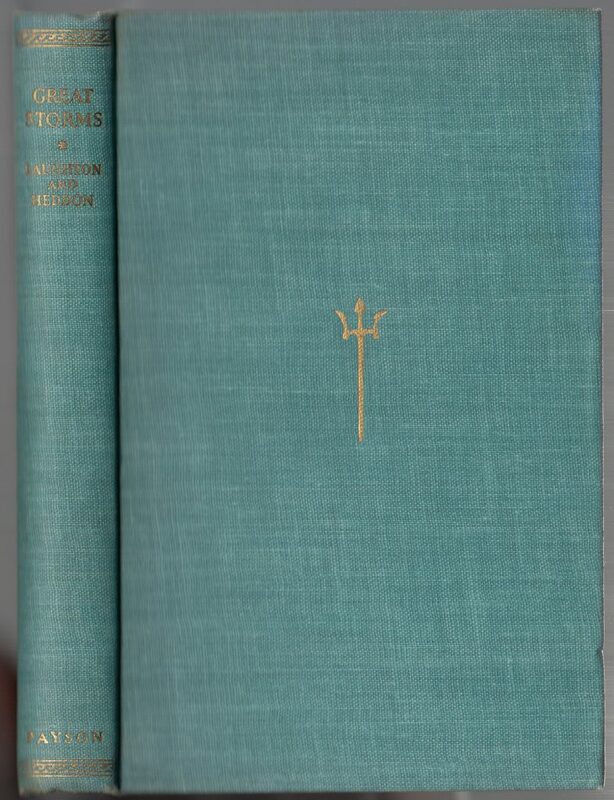 The Deep Sea Library consisted of at least 5 titles (#6, 8, 13, 14, and 16) from Philip Allan’s UK series The Nautilus Library with a different series name, published in the U.S. by William Farquhar Payson (New York). 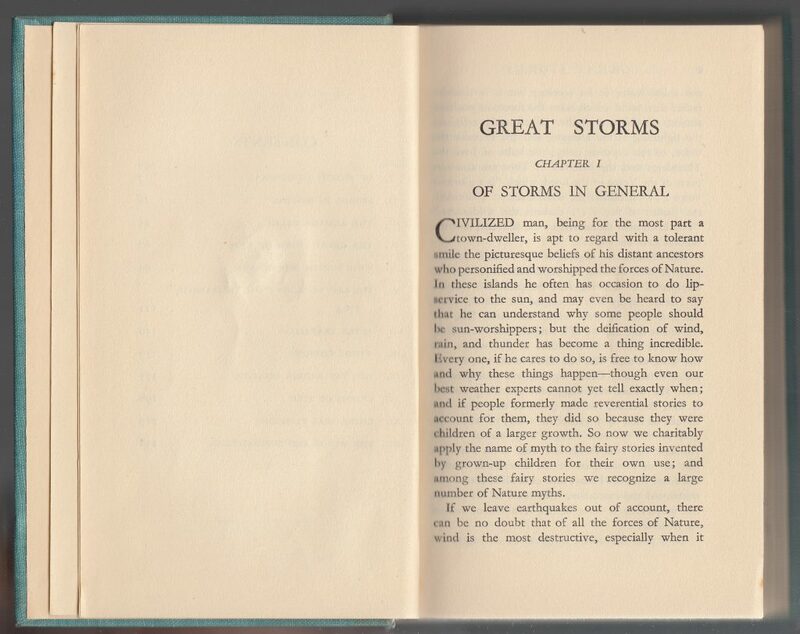 The initial four titles in the series, using its original name, had been previously issued in the U.S. by Frederick A. Stokes Co. (New York) in 1929-1930. Allan continued to add to the U.K. series, which began in 1928, until 1936, publishing 32 volumes in total. The series didn’t work for Stokes and did not seem to work for Payson either. 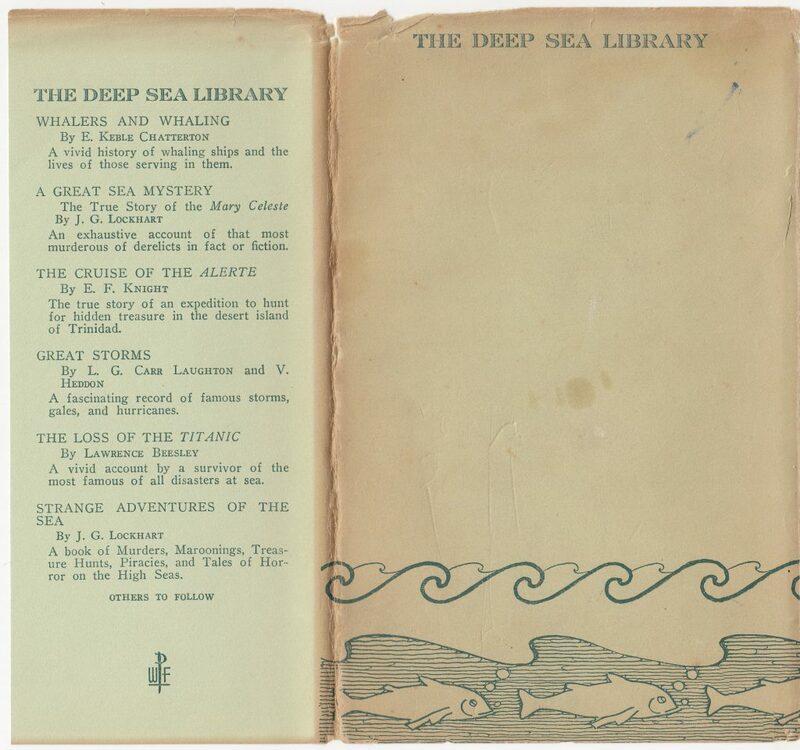 No titles are issued in the Deep Sea Library after the original 5 (plus one announced, but not published) in 1931. Jackets are on pale green-blue paper. The series name is included on the jacket front, spine, and front flap. 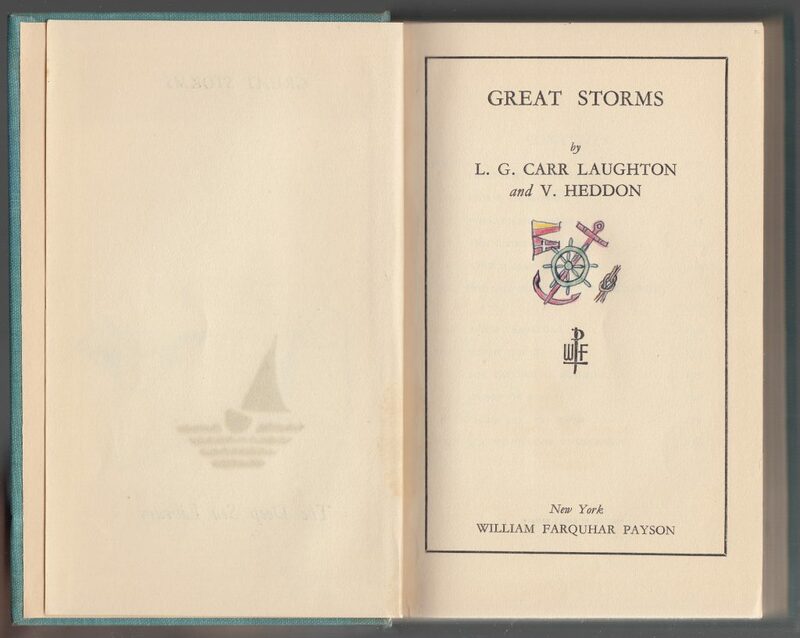 The jackets were designed by Gordon Grant, the “eminent American master of marine art.” The jacket design is common to the series, with a stylized ship, ocean, and fish gracing the cover. 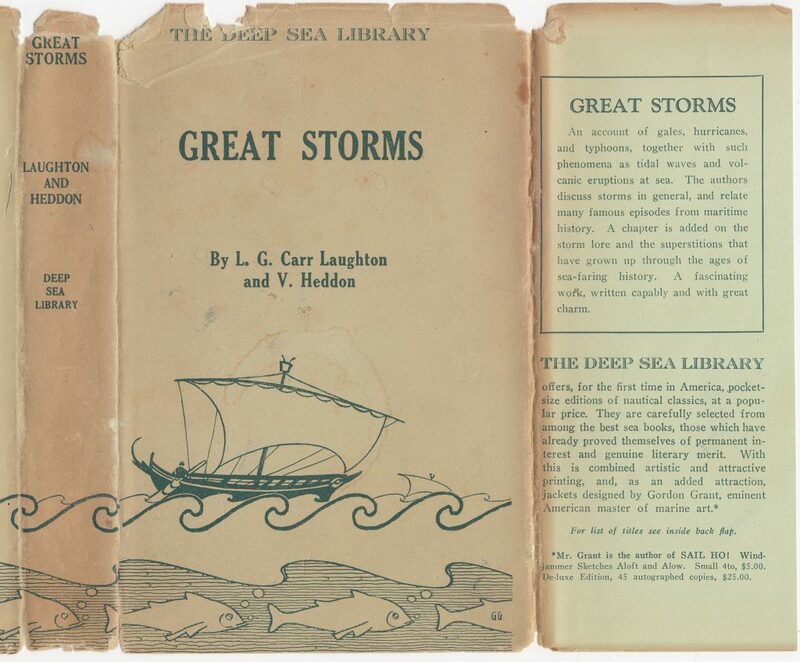 This particular title, Great Storms by L.G. Carr Laughton and V. Heddon, is blurbed on the front jacket flap, as is the series itself. The back of the jacket continues the ocean and fish graphics from the jacket front along with the series name. 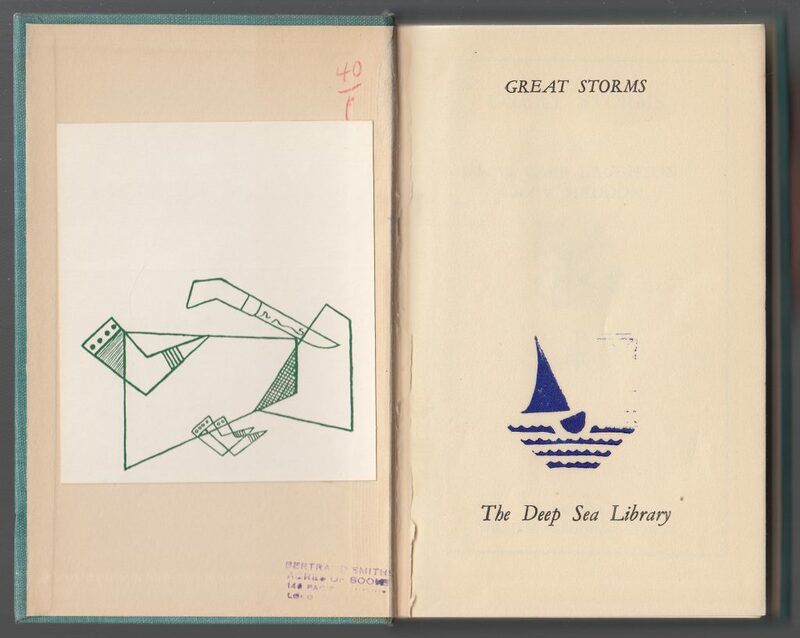 The rear jacket flap lists six titles in the Deep Sea Library. One, The Loss of the Titanic, seems to have been announced but never issued. Bindings are blue cloth with gold typography and decorations. This particular copy is missing it’s front right endpaper. The bookplate on the left is obscure but seems to be a native north-western design of some sort. A previous owner has also colored in the graphic element above the series name on the half-title page. The page also includes the title of the book. The cased title page is also graced with some color from the previous owner. 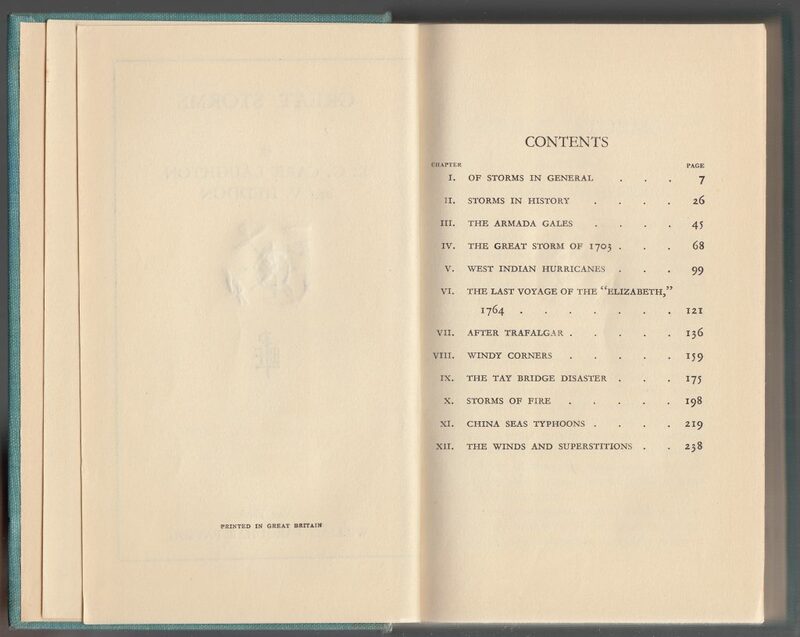 Besides the title and authors, the publisher’s colophon is placed on the title page. The copyright page indicates “Printed in Great Britain” suggesting the books in the Deep Sea Library were published for Payson by Allan in the UK, then shipped to the U.S. for sale.